The human heart is responsible for pumping blood through our circulatory system and is central in all bodily functions. Perhaps this is why it also holds symbolic importance in representing human emotion; if someone is incredibly passionate or kind, we often say they have “a lot of heart” to express that they are full of emotion. The heart also symbolizes emotional attachment to the people we love. It is Interesting, then, that our obsession with the heart as a symbol of affection has not helped us to take better care of our own very important organs. Heart disease is one of the leading causes of death in the United States so in an effort to reduce the rate of death caused by heart disease, the Center for Disease Control and Prevention (CDC) created Heart Month for the month of February. This year, the CDC dedicated Heart Month to helping raise awareness about high blood pressure, which is one of the leading causes of heart disease here in the United States. Approximately 67 million Americans, or 1 in 4, suffer from high blood pressure, and millions more will be diagnosed with hypertension (another name for high blood pressure) this year! Most importantly for our industry, more than half of all seniors have high blood pressure, since blood pressure typically increases with age. Although we all get our blood pressure checked when we go to the doctor, have you ever wondered what those numbers even mean? Most people know the numbers 120/80, but what is high blood pressure, really? Why is it something we need to be aware of for the elderly? 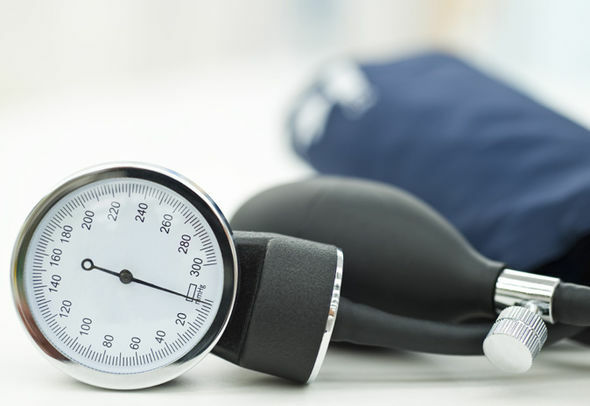 The National Heart, Lung and Blood Institute explains that normal blood pressure is considered to be a systolic pressure below 120 mmHg and a diastolic pressure below 80 mmHg. That’s where the 120/80 comes from. Now for the second question: What is high blood pressure, really, and why is it something we need to be aware of in the elderly? In an article by Abbas Ali, “For Seniors: What to do About High Blood Pressure,” he explains one significance of high blood pressure in seniors and what it means; “The special concern for the elderly is the increased incidence of systolic blood pressure (SBP), the fall of diastolic blood pressure (DBP) and the increased frequency of orthostatic hypotension because of the widened difference between the top and bottom numbers.” (orthostatic hypotension= that feeling of dizziness or lightheadedness from standing up after sitting or lying down. It is caused by rapid drop in blood pressure). In other words, the problem for most seniors is that while the pressure of blood while the heart beats is increasing the pressure when the heart is at rest is falling. This opposition, or growing difference between the systolic and diastolic pressures causes arterial stiffness and frailty which causes a vicious cycle of uncontrolled blood pressure which puts stress on the heart and makes it work harder. It also causes falls due to the dizziness or lightheadedness. As we all know, a fall for an elderly person can be devastating. Aside from the increased potential of a fall, someone with high blood pressure is at significant risk for heart failure, stroke, chronic kidney disease, and damage to the arteries, which can cause a heart attack. Any of these symptoms can be fatal for an aging senior with frail bones or a weaker immune system. Since prevention is the best cure, what causes high blood pressure? And how can we prevent it while we are still young? Here is a look at a few factors. For a more detailed list visit the Heart, Lung, and Blood Institute in the link above. Genetics: High blood pressure often runs in families. If you know a family member suffers from high blood pressure you may be at higher risk of developing it yourself. Get yourself checked at your next appointment and talk to your doctor about your concerns. Kidney Function: The kidneys help to regulate blood pressure by retaining or holding onto sodium and water and excreting potassium. As the Heart, Lung and Blood Institute reveals, imbalances of fluid and salt can cause blood volumes to expand and create higher blood pressure. A diet high in salt has also been linked to high blood pressure. This would explain why most senior citizens are on a low-sodium diet. If you are caring for an aging loved one with high blood pressure, be sure to monitor their salt intake. Lifestyle: Both smoking and drinking alcohol can raise blood pressure. Being inactive and, as a result, being overweight, also cause blood pressure levels to rise. The CDC reminds us that although high blood pressure is not the only cause of Heart Disease, a person with high blood pressure is more than 4 times as likely to die from heart disease than someone with normal blood pressure. This statistic is especially important for senior populations facing heart disease and trying to prevent falls. Being aware of our blood pressure and how to monitor risk factors could be all the care our heart needs. For example, if you have a loved one who suffers from high blood pressure talk to your doctor about your own blood pressure; are you high or low? What are the risks if your blood pressure is low instead of high? What can you do to maintain more balanced pressure? The purpose of Heart Month is to bring awareness to these health concerns and teach people about the causes and risks associated with these common health issues so that we can all make more educated decisions and take control of our own health. If you have an aging loved one, encourage them to know their blood pressure numbers, and help implement some of the lifestyle changes list above. Most importantly, speak with your aging loved one about fall prevention! Listen to your, and your aging loved ones’, heart this month and spend some time learning about high blood pressure in the links above.